This is a picture of a gaslight. 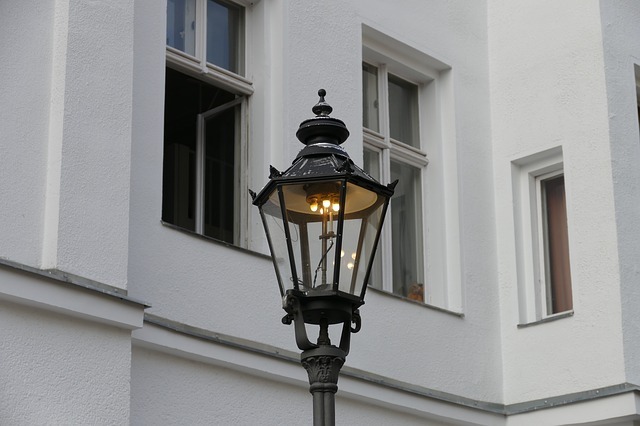 It was invented in England in the 1790s, and by the next century it was on streets and in houses, being the main form of lighting in England and also in the United States (“Lighting a Revolution”, National Museum of American History website, no author or date noted). A feature of this type of lighting was the ability to turn the gas up or down, making the lighting brighter or dimmer. It is this ability that is the subject of the 1944 film “Gaslight”, starring Ingrid Bergman and Charles Boyer (which was adapted from a play written by Patrick Hamilton (“Gaslight”, IMDb website, no author or date noted). 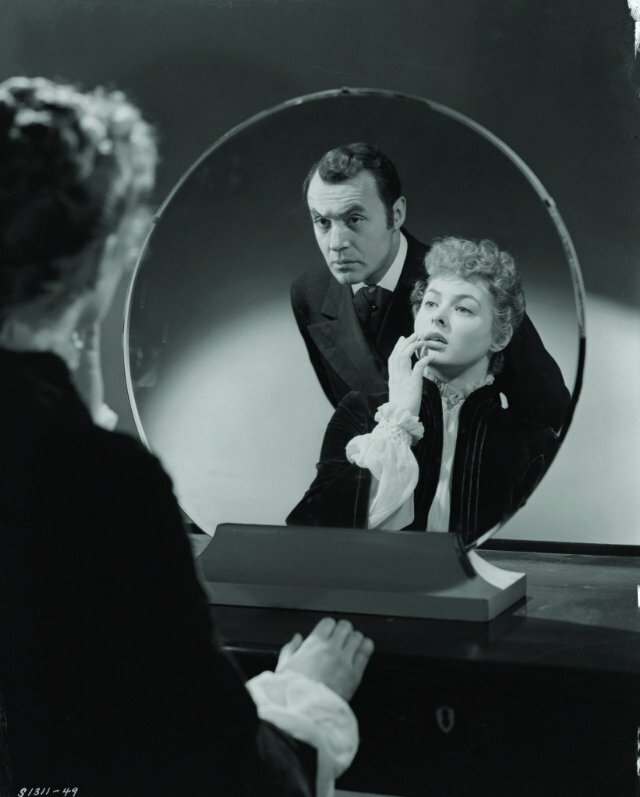 The character played by Charles Boyer was trying to drive his wife (played by Ingrid Bergman) crazy by turning the gas up and down, when supposedly she was the only person in the house at the time. The husband would tell his wife that she was imagining this, making her doubt her own perceptions. He hid and moved other objects, too, always stating that the objects were either not missing, or she stole them, or otherwise manipulating her. This is where the term “gaslighting” comes from – I bet you’ve heard it used once or twice. This form of manipulation is on public display every time 45 or one of his surrogates speaks. It’s more than just “spin”, it’s an attempt to reframe reality in such a way that, once ensnared by the manipulation, the subject can’t think clearly – even in the face of facts that are quite obvious to everyone else. Falling for this kind of trick is not a reflection of how “smart” someone is, contrary to what many people think. It is also not a reflection of how educated someone is, how ‘weak” someone is, or how low someone’s self-esteem is. The truth is, anyone can be manipulated by this technique. A lot depends on how invested the person is in the relationship, how much the person trusts the one doing the gaslighting, and – especially in the case of 45 supporters – how others around them think and react. Despite the appearance of a diverse society, the USA has a few “group-think” characteristics that can be manipulated for any purpose, if someone wishes to influence a substantial number of people, using gaslighting. Aside #1: I think we have seen how this has played out, in terms of the effect of Russian bots and memes on some of the American public. Like all groups, American society experiences “trends”, “fads”, or “crazes” – pick your term. Everything from consumer products to reality tv shows, large numbers of Americans do fall into the “everyone does/has/watches it, I have to have/do/watch it” kind of thinking that defines a trend. It doesn’t matter if this trend is harmful to others (Samsung products that are made in factories under such horrific conditions that workers have died), or harmful to themselves (doing stupid things on YouTube), I think it’s safe to say that people are not at their critical thinking best when they succumb to fads. Of course, sometimes the trends are not harmful – like the hula hoop (yes, I’m old), jogging, or eating healthy food. But you have to admit, these things tend to “catch on” and become popular in our culture. Some people do things because “everyone is doing it” – that’s a hallmark of our world today. It’s become this way with politics now. Oh, I know, you can look at the 60s and see how people jumped on the bandwagon and became hippies, social activists, and the like – and you can even go farther back in time to see social movements trending. My point today is, it’s reached a point where there is very little balance around for people to cling to, to keep themselves from washing out to sea with the rest of the ocean of popular culture. For example, ideas trend quickly on social media and are picked up by others (the news, talk radio, etc) and spread, so there’s often very little time to think about the veracity of whatever idea is making the rounds at any given moment. 45 and his surrogates know this. By the time one or all of them have spread a talking point, they are on to the next one before people have a chance to evaluate it. It’s gaslighting at warp speed. But it’s not just that it’s a conservative talking point – it’s that a lot of what they spread isn’t true. People can, and do, fact-check this bunch all the time, but by the time the lie is disputed we usually have another false narrative to deal with. Even people who don’t normally listen to or agree with the right-wing can be sucked into it at times. A good example of this was the recent drumbeat about gun ownership, in the wake of the mass shooting in Florida. You guys know where I stand on all this. I see it as scapegoating a population that is vulnerable, and I also see it as a clear indication that most people do not understand mental illness. Anyway, these ideas about the homeless and people with mental illnesses went viral, and pretty soon everyone, it seemed, was advocating them. Even though there is zero evidence that homeless people have guns and pose a serious risk or participate in mass shootings. As for police and guidance counselors committing kids, that’s bs too as these people do not have the education or training to do this. And there’s the whole “which mental illnesses do you mean?” question, as well as the fact that many people with violent tendencies never see a counselor, mental health clinic or hospital so how do you identify them in a gun sale? This was gaslighting to distract people from the real and solvable issue of access to guns that can kill large numbers of people at a time – assault weapons. How can people help others, in this age of deception, evaluate what they see and hear on social media, at White House press conferences, and on news shows? How can we guard against being taken in ourselves? I believe that it’s very difficult to do those things in the current climate. Unless someone is predisposed to question everything they see and hear, the noise often becomes overwhelming and exhausting. I think we’re going to just have to tough it out until November, when the midterms occur. Because if the moderates and liberals regain the House of Representatives (at the very least), this will change the dominant narrative – or at least put a stronger counterpoint out there. Politics is a numbers game. If there are more reasonable, rational people in office, there will be more chances to express ideas that, even if you don’t agree with them, will at least not be lies. Am I saying that left-leaning people don’t lie as much as right-leaning people? Yeah, that’s exactly what I’m saying. Don’t believe it? Try looking at websites that keep track of and fact-check the things politicians say, like FactCheck.org. Or you can fact-check politicians yourselves, if you are so inclined. That’s one thing you can do before November. Then make up your own mind as to whether or not a politician is gaslighting you. Weird news of the week: From CBS news, a report of a UFO over Arizona, seen by pilots of 2 separate jets…“2 Airline Pilots Report Seeing UFO While Flying Over Arizona”, CBS News website, 3/29/18. Aside #3: Yes, I do see the irony in reporting weird news in this blogpost. Go fact-check it, then! Recommendation of the week: Another one for people who like old-time tv, especially in the paranormal genre – the One Step Beyond channel on YouTube. This show aired in the 1960s, and scared the crap out of me as a child. It’s interesting to me now because it shows how women were portrayed in that era (hint: not in a good way, really), plus the stories are interesting. It predated The Twilight Zone, by the way. Be good. Be kind. Facts matter. This entry was posted in Social Issues and tagged 45, fact checking, gaslight, gaslighting, one step beyond, politicians, trump lying, UFOs on April 5, 2018 by Victoria. Attributes sorely missing these days.